a world class product backed up with personal service. Our cart is designed to meet the best possible durability and safety standards. 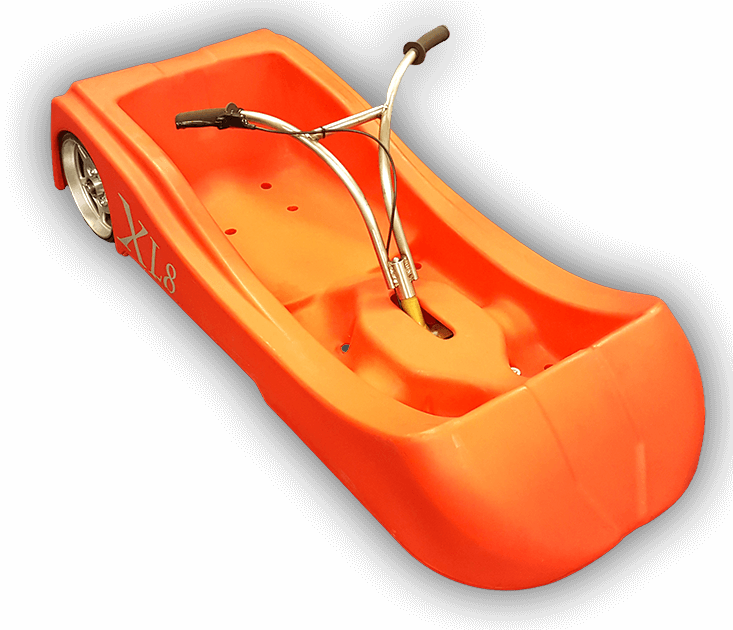 The XL8 is Luge Cart World’s latest designed cart. With large rear aluminum wheels, the cart gives a smoother and quieter ride. It features generous leg room for larger riders and a secondary foot position for smaller riders and hydraulic disk brakes for greater safety and control. The unique design of the XL8 makes the job of preventative and/or necessary maintenance easier.